Boy, how the days left in 2010 are just flying by! I’m guessing by now you are stocking up on a few bottles of champagne (or cava, or prosecco, or whatever other varietal tickles your fancy…) in preparation for New Years Eve on Friday night. So why not take the guess work out of how to serve it with some of your favorite spirits? For one, a simple Kir Royale (pictured) can do the trick! 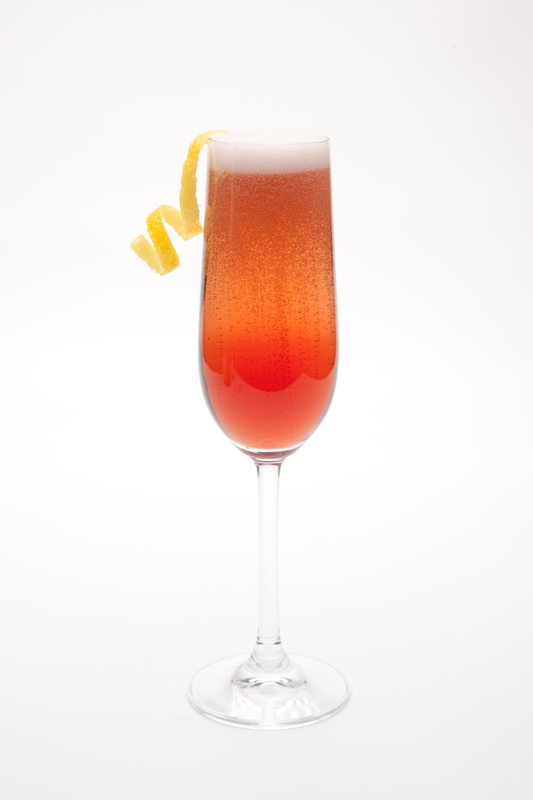 Combine 1 part of Hiram Walker Créme de Cassis with 4 parts chilled champagne in a flute and garnish with a lemon twist. Additionally, here is an accumulation of some bubbly-inspired sips that have been included in Cocktail Culture posts this year and I hope will add some pop! to your New Years Eve bash. Feel free to click the links in the recipe name to go back to the original posts for more photos, inspiration, and to read reminiscent thoughts from the year in past. Serve in a champagne flute. Garnish with a fresh strawberry. Shake with ice and strain into a coupe. Fill with sparkling wine and garnish with a flamed lemon twist dropped in. Add ingredients to Punch Bowl with Ice Block. Garnish with pineapple sticks, strawberries, lemon wheels, pink grapefruit wheels, mint sprigs. Add all ingredients to a champagne flute and top with Perrier Jouet Champagne. Wishing you all a very safe and Happy New Year! Cheers! The spiced Hot Chocolate is a simple way to utilize that bottle of peppermint schnapps you have behind the bar; however, why not steer yourself in a slightly different direction? In place of those benchmark hot drinks we’ve been sipping on for the past few weeks, consider stirring up instead this chilled cocktail that is full of festive holiday flavors, such as the aforementioned mint and chocolate. Shake all ingredients and strain into a chilled cocktail glass. Garnish with a candy cane on the rim. Enjoy this cocktail during the waning days of 2010 – you and your guests will surely be impressed! Cider, Cookies, and Cinn – Oh my! 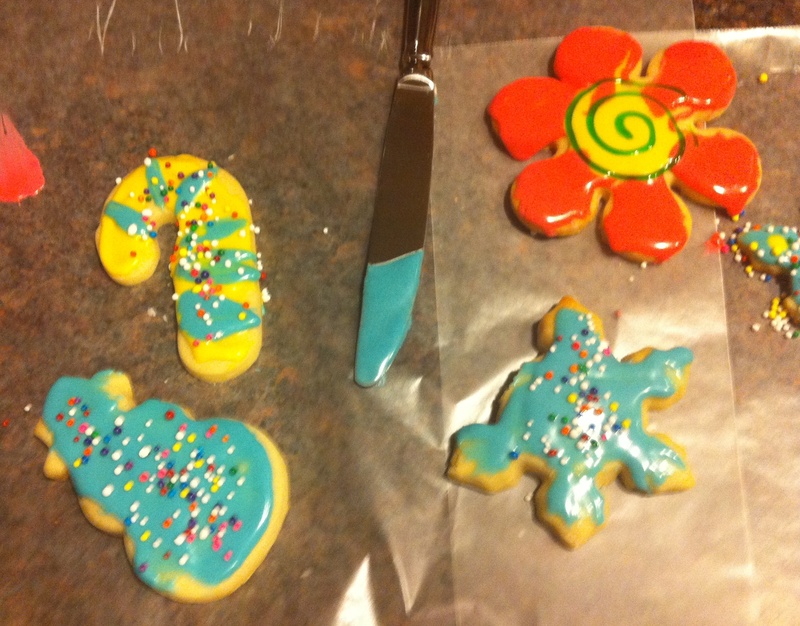 We’ve moved from carrot cake to cookies in this quick cocktail post, as I thought to share with you a few photos from my friend’s annual Christmas Cookie Decorating Party. All the gals invited were asked to bring something to contribute to the party and, as per normal, I supplied some booze. 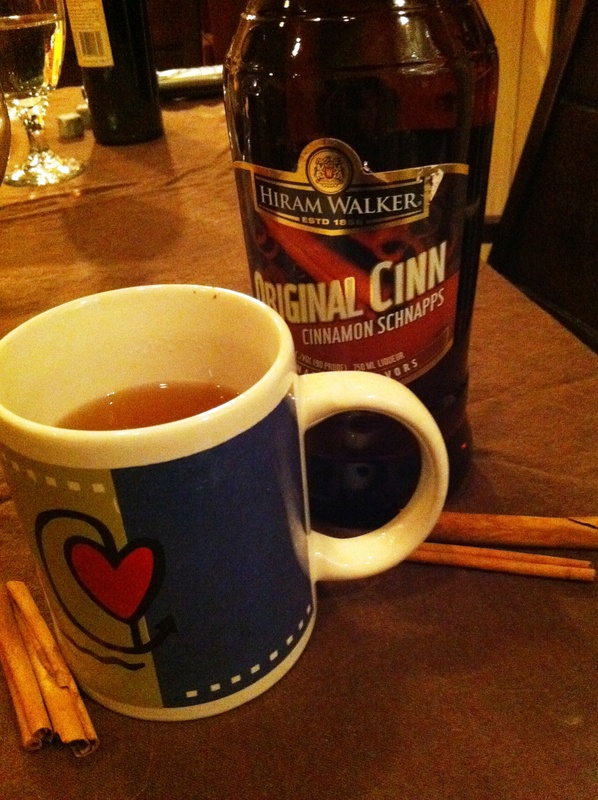 Spiked Apple Cider was our treat for the evening’s festivities (along with a great bottle of Australian syrah, but I digress…), and Hiram Walker’s Original Cinn was there for the fixin’. I added some muddling spices to the cider to start things off: allspice, cloves, cinnamon, nutmeg… Once heated up and ready to go, I added two parts Original Cinn, 1/2 part fresh lime juice, and a healthy pour of local, New England apple cider. I grabbed a few cinnamon sticks for a garnish and – Done! Pour the bourbon, schnapps, and lemon juice into an Irish coffee glass or mug. Stir well. Fill with hot apple cider. Garnish with the green apple or a cinnamon stick. We’ve made it to the final home stretch before Christmas! But are you still searching for a cocktail to serve over the weekend? 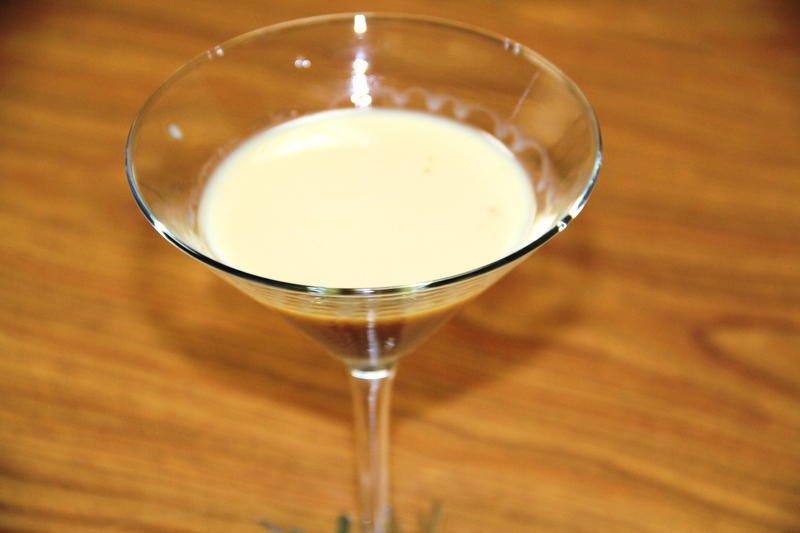 Ryan, of the site Boozeblogger, offers up this dessert-inspired cocktail in his “12 Drinks of Christmas Series”, the Carrot Cake Cocktail. I decided to stir this one up for the office crew early in the week (we had all the ingredients on hand!) and I was surprised at how the warming flavors of cinnamon, butterscotch, and caramel came together so pleasantly in this drink. I probably should have been more generous with the garnish on top; it’s a lesson learned for the next go-around! Below are some of the shots from my mini photo shoot, but here’s the recipe (with a link to Boozeblogger’s site, so be sure to read the rest of the holiday series) as well so you can stir one up at home. Shake with ice and strain into a chilled cocktail glass. Garnish with freshly grated nutmeg. The Facebook alert on my phone lit up about 11 pm EST. 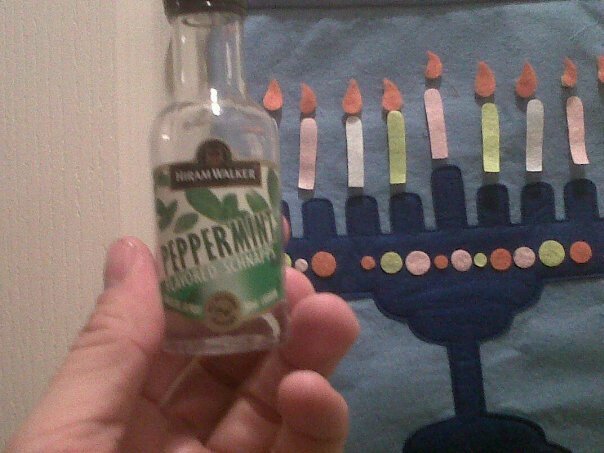 I had been tagged in a friend’s festive photograph – taken over 2500 miles apart – of a Hiram Walker Peppermint Schnapps nip before his indulging in a peppermint hot chocolate. And so my yearning began! After all, it is the season for peppermint schnapps and hot chocolate to join together for a delicious, warming treat. So for Friday’s Featured Cocktail to last you through the weekend, I thought I’d share a hot chocolate recipe easy to please the masses – The Breath Mint Hot Chocolate! Combine ingredients and serve in a coffee mug. Top with optional garnishes of fresh whipped cream, chocolate shavings, or peppermint candies. Yup, it doesn’t get much simpler – nor tastier on a cold winter’s weekend – than that. But if you have other tasty variations, please feel free to share your recipes or links in the comments section and I’d be happy to share them in a future post! As if December wasn’t already brutal enough to our waistlines – what all with the holiday soirees, gift baskets, and over-indulgent foods – why shouldn’t we go ahead and throw in another torturous foodie holiday? You know, just to spice things up! Rather than over-indulging with sweets, we may as well stick to a chocolate covered cocktail to pretend that we’re trying to watch the calorie intake this time of year! How does a Chocolate Covered Raspberry Cocktail sound? This two-ingredient cocktail is incredibly simple to stir up at home and will altogether fill the sweet tooth craving you’re deserving of during the holiday season. Not to worry, self. The gym will still be there come January! Let it be known that your host at Cocktail Culture is a huge fan of chai. I’ve tried my hand at making a few chai-flavored cocktails, but I suppose I should just leave those things to the experts and stick to the role I’m best at: taste tester! 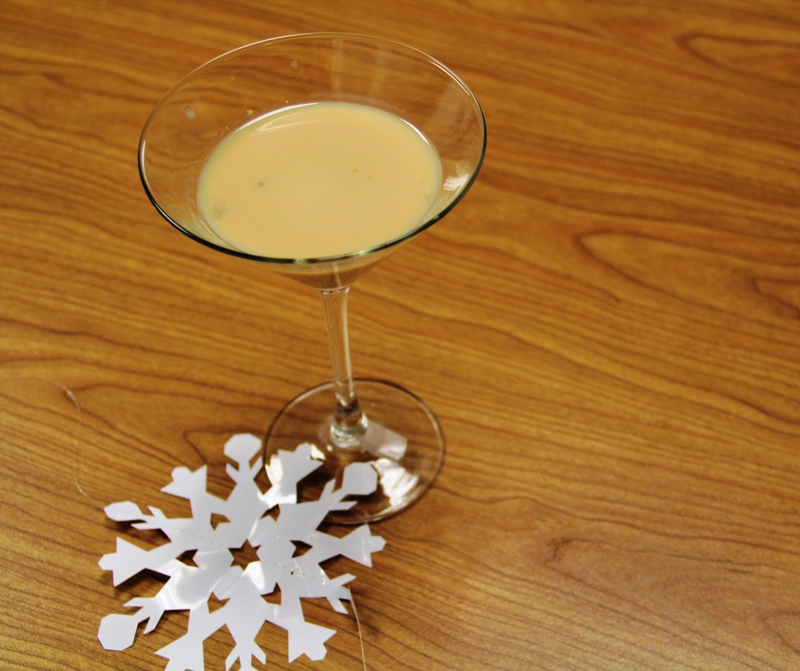 The goofy and chic sisters at Fashionably Bombed are making a splash with their “12 Days of Christmas Cocktails” series, and day three featured one of my favorite flavor combos ever – chai! Considering that Katherine lived and studied in India for quite some time, I’ll take her recipe to be pretty authentic; add in a bit of booze (vodka, some Irish cream, and Hiram Walker Original Cinn, to be exact)…well, then you have yourself a delicious Christmas treat! In a saucepan combine water, milk, tea bags, ginger, cloves and cardamom pods. Bring to a boil and stir continuously. Turn stove to low and add sugar. Keep stirring for 3-4 minutes until it’s a light brown color. Remove from heat and strain. Stir in vodka, Bailey’s and cinnamon schnapps. Garnish with a cinnamon stick.